People expect their physicians to be knowledgeable and skilled, and trust them to provide the highest standards of care. At Lowcountry Plastic Surgery Center, we want to provide a comfortable environment where our patients have access to the highest quality medical care while maintaining professional and ethical standards through education, research and patient care. By using the latest techniques we strive to develop an individualized program to meet each patient’s specific goals. 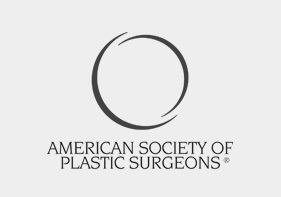 We practice the full range of plastic surgery services, both reconstructive and cosmetic, and will provide these services with the utmost in excellence, and with the patient’s welfare and satisfaction as the ultimate goal. Our Mt. 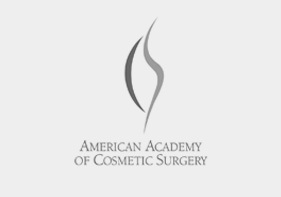 Pleasant, South Carolina cosmetic surgery practice offers a wide array of procedures to help accentuate your curves, enhance your figure, provide a more youthful appearance, and improve your self-image. Below is a list of some of the procedures we offer. If you would like more information on any of the procedures available at Lowcountry Plastic Surgery Center, contact our Mt. Pleasant, South Carolina cosmetic surgery office today. The body contouring procedures at our cosmetic surgery practice can help enhance or improve the curves of your figure. Tummy tuck surgery removes excess fat and skin from the middle and lower abdomen. Tummy tuck surgery also tightens the muscles of the abdominal wall and can dramatically reduce a bulging abdomen. 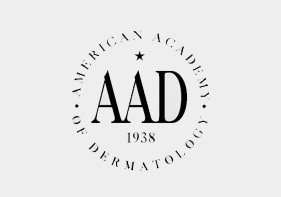 Abdominoplasty does, however, produce a permanent scar that may extend from hip to hip. Tummy tuck surgery is one of the post-bariatric cosmetic surgery procedures we offer at our practice. Body lift surgery is ideal for those who have experienced extreme weight loss or who have excess or sagging skin and fat tissue around the thighs, abdomen, buttock, and hip area. A body lift is one of many post-bariatric cosmetic surgery procedures available at Lowcountry Plastic Surgery Center. Liposuction can be performed on various parts of the body, including the hips, abdomen, buttocks, thighs, knees, upper arms, chin, cheeks, and neck. At Lowcountry Plastic Surgery Center, liposuction surgery is one of the post-bariatric cosmetic surgery procedures we offer. Also referred to as an arm lift, brachioplasty is one of the many post-bariatric cosmetic surgery procedures we offer at Lowcountry Plastic Surgery Center. Brachioplasty is often combined with liposuction or a body lift. Also referred to as thighplasty, thigh lift surgery is often performed following extreme weight loss. A thigh lift is one of many post-bariatric cosmetic surgery procedures available at Lowcountry Plastic Surgery Center. A thigh lift may be directed at the medial thighs, called a medial thigh lift, or at the medial and lateral thighs, called a circumferential thigh lift. The circumferential thigh lift requires longer incisions, longer surgery time, and a longer recovery. Labioplasty is a relatively simple procedure which can improve both the appearance and function of the female labia. It is a procedure which offers a comforting solution to unsightly or uncomfortably enlarged or elongated labia majora or labia minora. Post-bariatric cosmetic surgery, offered at our Mt. Pleasant, South Carolina practice, refers to any number of procedures used to adjust the contours of a patient’s body following extreme weight loss. Following a gastric bypass or other types of extreme weight loss surgery, patients may find that their body contours are drastically changed. Skin may be stretched out or hanging loose off one’s body, no longer conforming to the new, slimmer body shape. Facial features may seem to sag due to weight loss and stretch marks may be present on a person’s skin. Lowcountry Plastic Surgery Center has various procedures to alleviate these problems. Often we may be able to combine certain procedures to maximize their benefit to you. Post-bariatric cosmetic surgery can correct these aesthetic problems following successful extreme weight loss. We at Lowcountry Plastic Surgery Center can help you have the body shape and proportionate appearance to match your brand new lifestyle. Lowcountry Plastic Surgery Center performs men’s cosmetic procedures to help men look and feel good about themselves. Gynecomastia is a condition that causes a man to have abnormally large breasts. Our Mt. Pleasant, South Carolina cosmetic surgery practice can help treat this condition and restore the proper contours of your body. Liposuction, abdominoplasty, body lifts, and other body contouring procedures help sculpt the body. At our Mt. 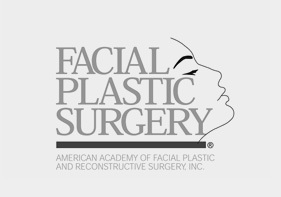 Pleasant, South Carolina cosmetic surgery practice, we can reshape your body and enhance your figure. A facelift, eyelid surgery, and our numerous facial surgeries can reverse the signs of aging, giving you a youthful and more energetic appearance. Our Mt. Pleasant, South Carolina cosmetic surgery office performs a wide array of facial rejuvenation procedures to improve your appearance. About Dr. Jack Hensel, Jr.
Hensel JM, Lehman JA Tantri MP et al. 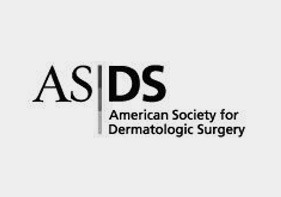 An Outcomes Analysis and Satisfaction Survey of 199 Consecutive Abdominoplasties. Ann Plast Surg 2001;46:357-363.